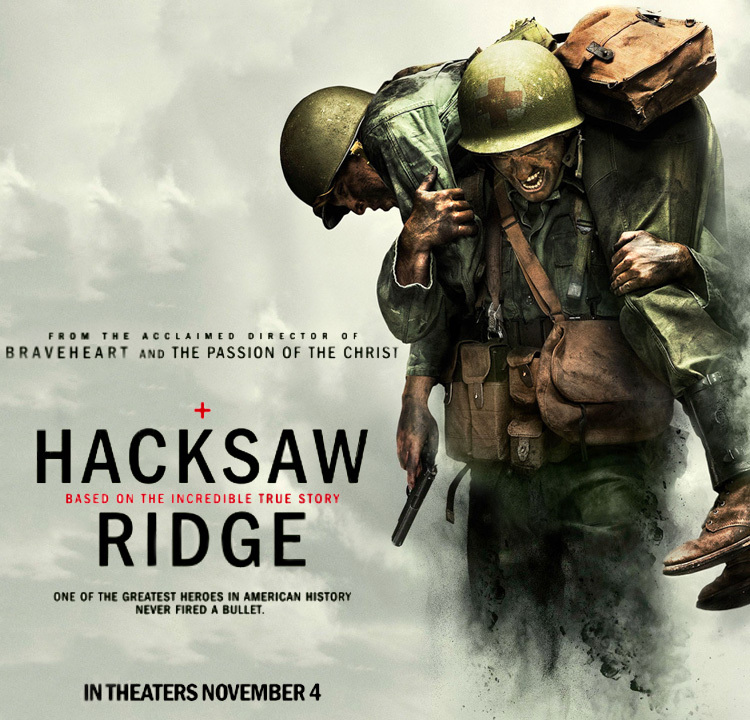 That movie shares some of the many acts of bravery and faith that Doss lived out during his time as an Army medic during World War II, specifically at the Battle of Okinawa where they fought to take Hacksaw Ridge. It is a beautiful, albeit graphic, retelling of what Doss and his company of men experienced during that time in the war. It also shows the bullying and persecution Doss faced from his fellow soldiers because of his stand to be a Conscientious Objector, which means he was willing to go to war but not willing to ever use a gun. He enlisted as a medic so that he could save lives rather than take them, and God allowed him to save so many throughout the war, including around 75 men during the Hacksaw Ridge battle. You can read more about the Desmond Doss story as told in the movie “Hacksaw Ridge” and see what Academy Awards it was nominated for at: Film about Lynchburg World War II hero nominated for six Academy Awards.